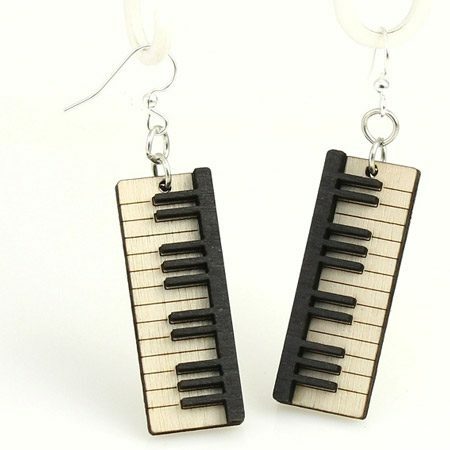 Piano Earrings – These amazing Piano Wood Earrings make a wonderful gift for any piano player! The precision, laser-cut wood earrings feature intricate keys stained with water-based dye. Created from all natural wood and renewable/recycled materials. Made in the USA. Very lightweight and practical. Approx. 0.5″ x 1.5″. Cool Jewelry for Piano Players!